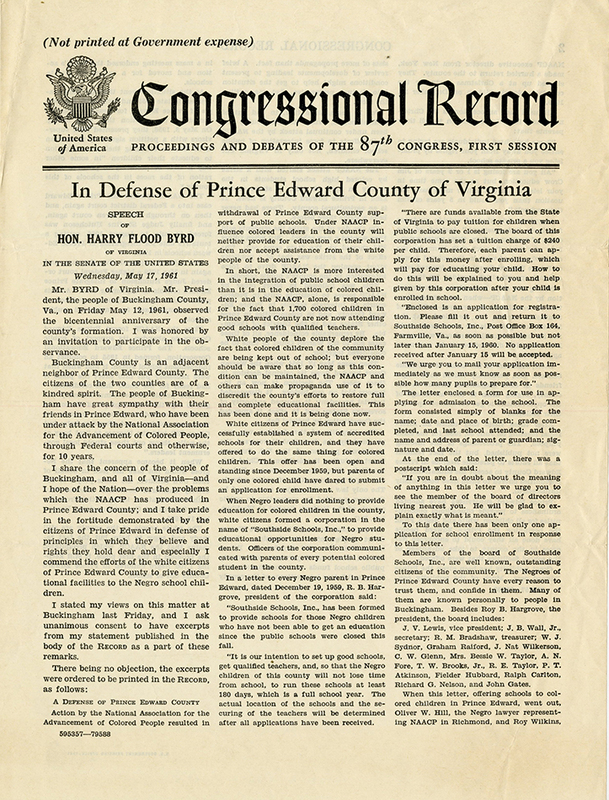 Byrd, Harry Flood, “In Defense of Prince Edward County of Virginia. Speech of Hon. 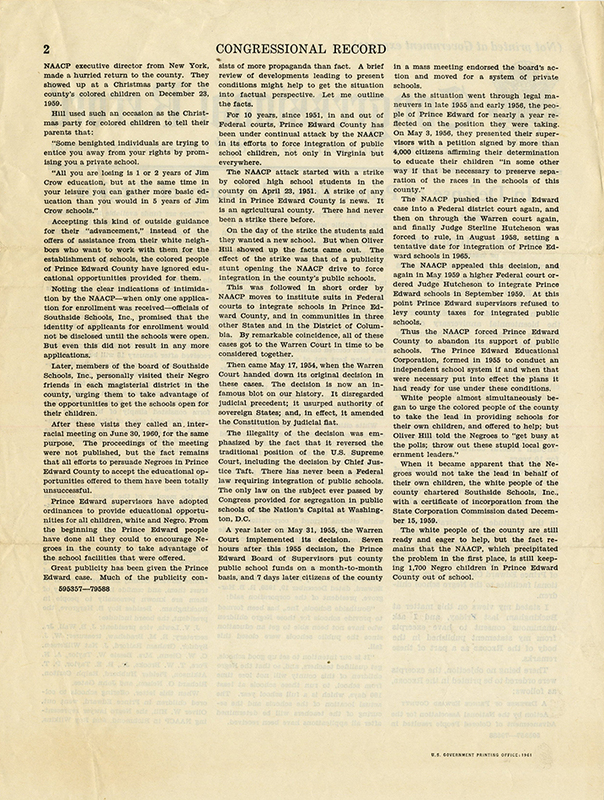 Harry Flood Byrd of Virginia in the Senate of the United States, Wednesday, May 17, 1961,” Social Welfare History Image Portal, accessed April 26, 2019, https://images.socialwelfare.library.vcu.edu/items/show/340.